"You are at the end of a cycle in your life. 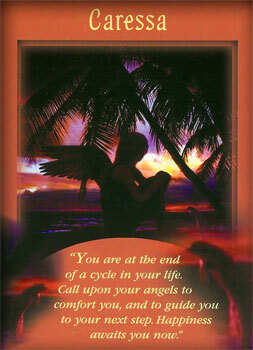 Call upon your angels to comfort you, and to guide you to your next step. Happiness awaits you." You may feel sad, as if your heart is breaking, as a result of this ending. Allow yourself to cry and greeve, but know that we angels are near you right now. When you are ready, we will gently show you how this ending brings new blessings into your life. But for now, the sadness that you feel may reveal new insights to you. It might inspire you to finish a project where you have been procrastinating, or to take better care of yourself, for example. It is important for you to express your feelings during this time of transition. Either keep a journal, talk to trusted friends, join a support group, or discuss everything with us angels. The more that you can release, the freer that you will feel. Watch out for self-destructive tendencies, which can arise from misguided guilt. 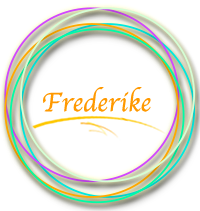 I will help you take excellent care of yourself during this transition if you will call upon me. Whenever you need a hug, just ask, and you will feel me envelop you with my wings.